Trauma Care Consult supports the Ludwig Boltzmann Institute for Experimental and Clinical Traumatology in the fields of bone, crutiate ligament and peripheral nerve regeneration, with special regard to the role of stem cells. Adipose tissue and the regenerative cells contained therein are the focus of LipoRegena, a company providing assistance to doctors with gaining those cells. Liposuction material is processed directly on site to get access to regenerative cells in a one-step procedure, bringing the cells right back to the patient for regenerative or aesthetic purposes. Alternatively the cells can be banked for future use. The MedTech Start-Up company MorphoMed focuses on the development of new regenerative ligament and tendon implants based on its proprietary medical silk technology. Its lead product, a medical silk ACL (anterior cruciate ligament) transplant might help hundreds of thousands of patients after an ACL rupture to regenerate their ligament and get back to normal life including sports activities. "Forever is just enough" is the motto of Evercyte. The company provides relevant human cell lines as model systems for cell based assays, production host, as well as for cellular therapy applications. Using either cellular reprogramming or hTERT immortalization, it generates human cell lines that maintain their primary like functionality. Specialized in the discovery and validation of microRNA biomarkers, TAmiRNA provides validated diagnostic solutions to patients with serious aging-related illnesses. The company aims to improve and prolong patient stability, health and quality of life with increasing age. Its minimally-invasive, fast biomarker technology enables rapid decision making. Specializing in the development and production of materials and additive manufacturing systems for 3D printing of high-performance ceramics, Lithoz offers professional consultations as well as customer-specific solutions along the entire value chain. By applying Lithography-based Ceramic Manufacturing (LCM) the company is able to produce customized implants for any purpose. To establish cardiac shockwave therapy for the intraoperative use Heart Regeneration Technologies has developed the world’s smallest shockwave applicator, suitable for direct cardiac application during heart surgery. Moreover, the company is currently developing a second generation heart applicator for minimally-invasive/ interventional use in cardiology. To facilitate the rapid translation of academic innovations into industrial production is the main goal of SAICO, a company focusing on the microfabrication of biosensors and lab-on-a-chip systems. Therefore it offers anything from advice on microfluidics-related issues to proof-of-concept studies or large-scale engineering designs. Its core competence is the generation of functional prototypes needed to reduce the development time from initial idea to market-ready devices. The company designs high-resolution 3D printers for industrial applications. Their unique technique enables resolutions of less than one micrometer and allows the incorporation of live cells during the printing process. 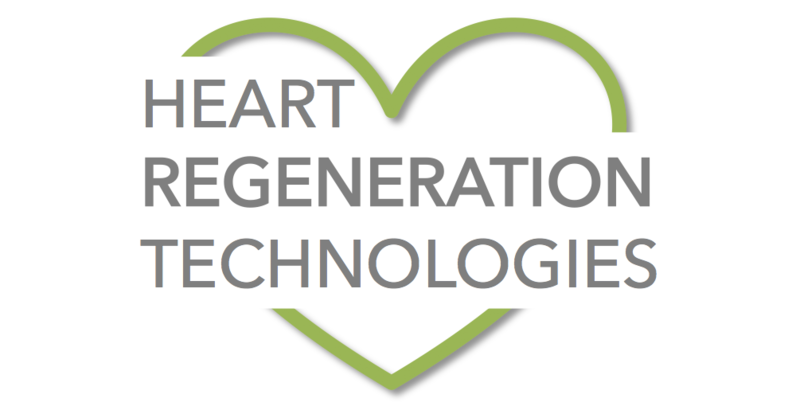 Using its proprietary organ-on-a-chip technology, Pregenerate provides precision solutions for degenerative diseases. Special emphasis is put on finding therapeutic targets for arthritis. Combining an ubiquitous cell source with cutting edge reprogramming technology, Phoenestra is using urine for the generation of induced pluripotent stem cell lines under GMP conditions. The company is setting up a biobank for the storage of urine sediments from HLA typed donors and from patients suffering from specific diseases, promoting the establishment of novel cell based therapies in the field of personalized medicine. Celericon´s exosome-containing vesicular secretome fractions modulate the regeneration and biomechanical parameters at the healing site and efficiently suppress scar formation. They are manufactured from in vitro expanded umbilical cord tissue-derived MSCs and can be directly applied to bone or tendon tissue during surgical intervention.